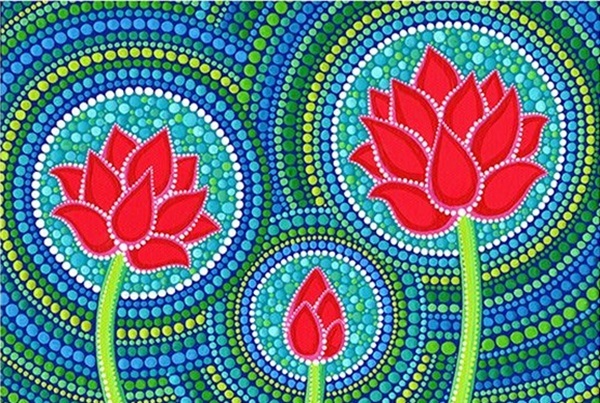 In this article, we are going to be looking at flower power but not in the way it was meant in the past. 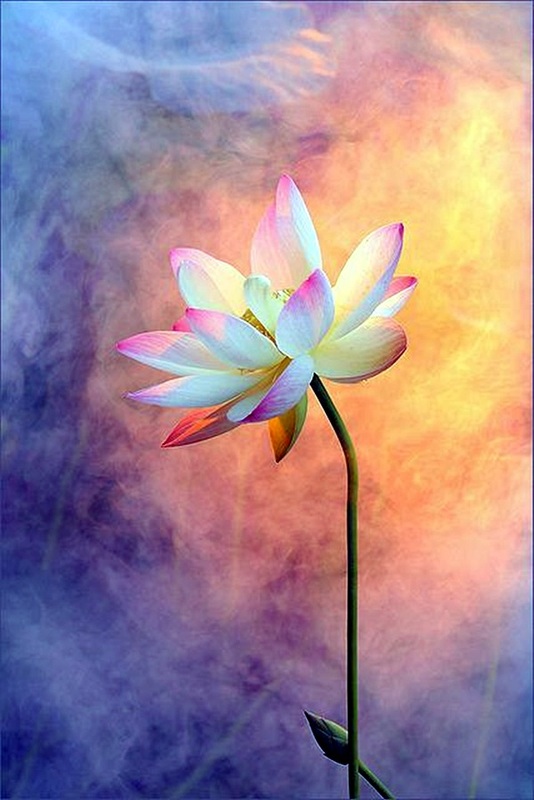 We are going to be talking about flowers in terms of the power they have over our senses – the sense of sight by their beauty, the sense of smell with their fragrance and the sense of touch due to the lovely velvety texture they have. 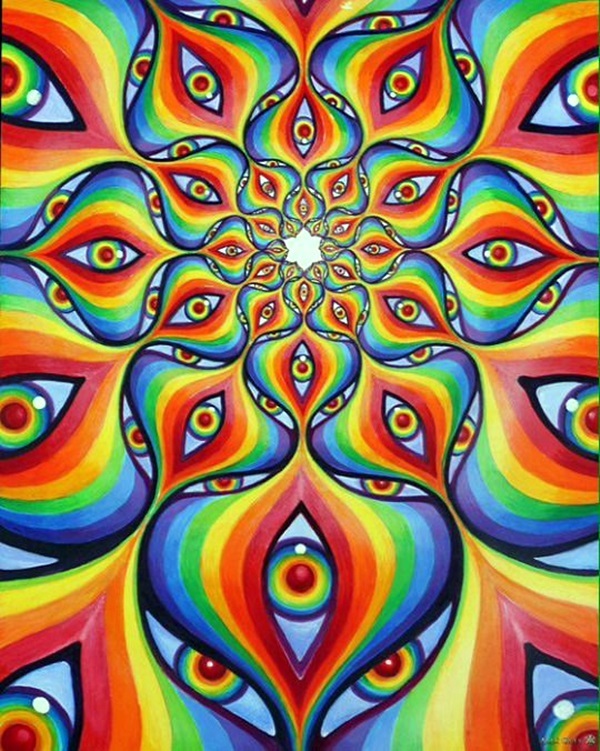 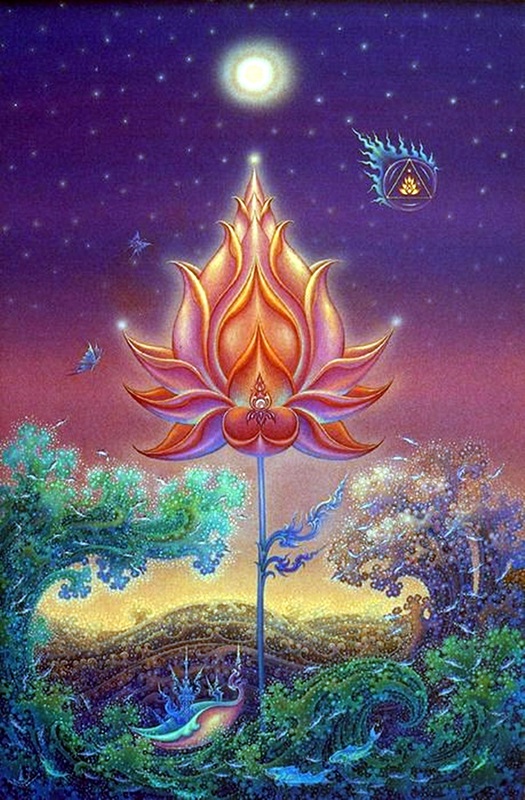 But that is not all, they also hold a lot of symbolic value because of the almost mystical vibrations they exude. 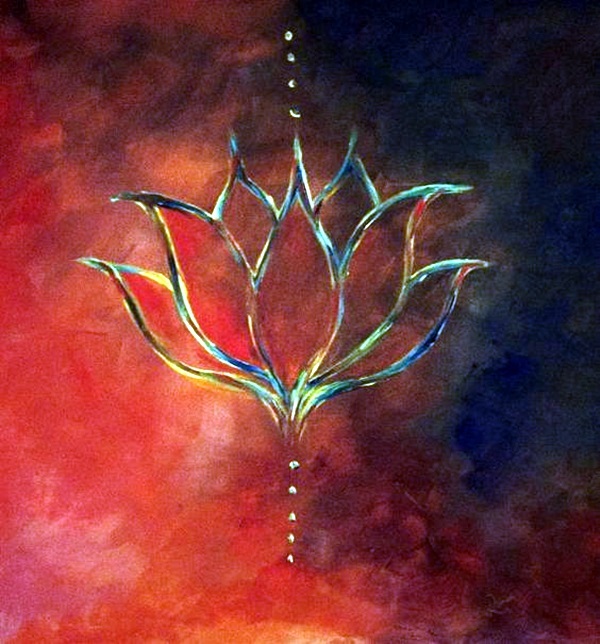 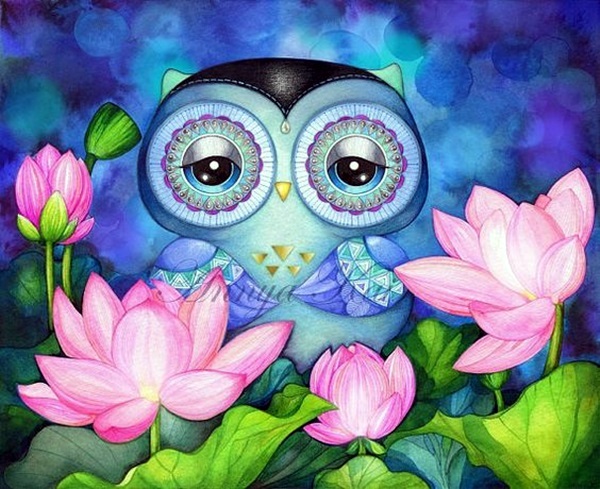 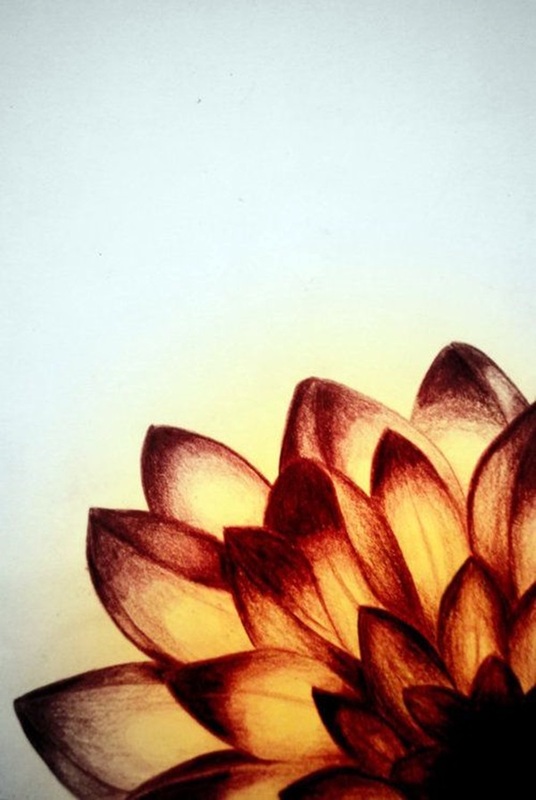 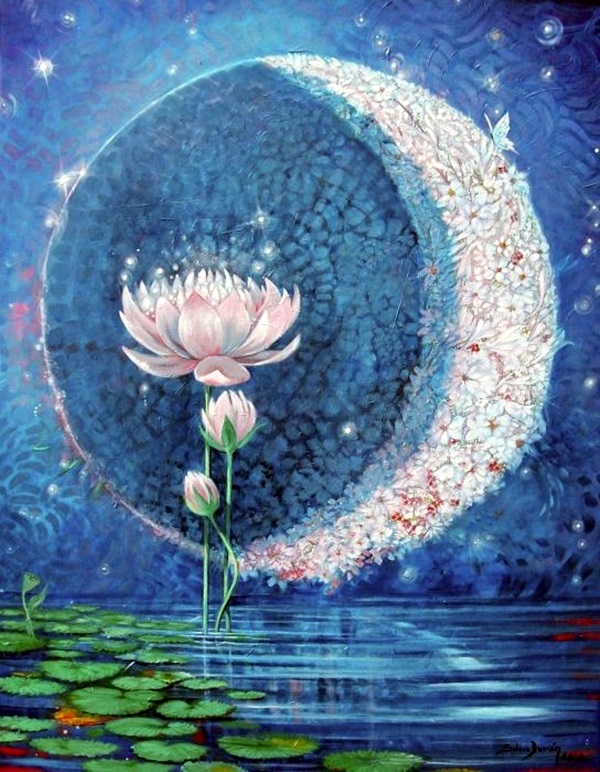 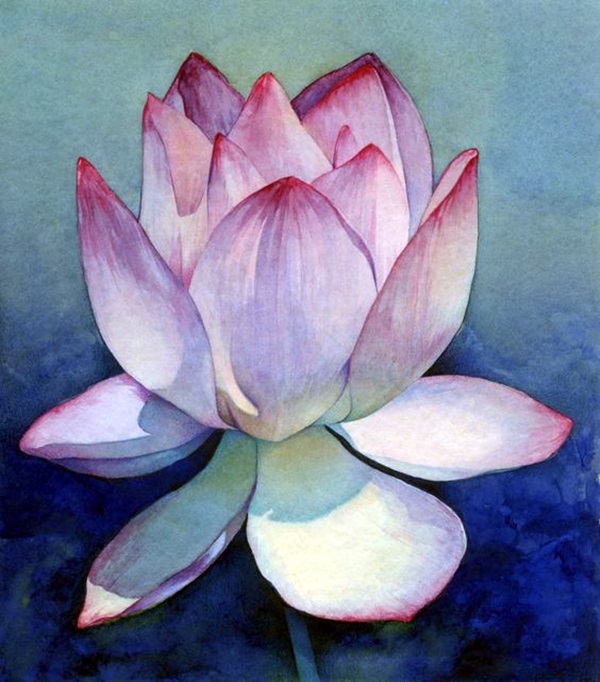 Take for instance, the lovely lotus that emits a feeling of peace and purity. 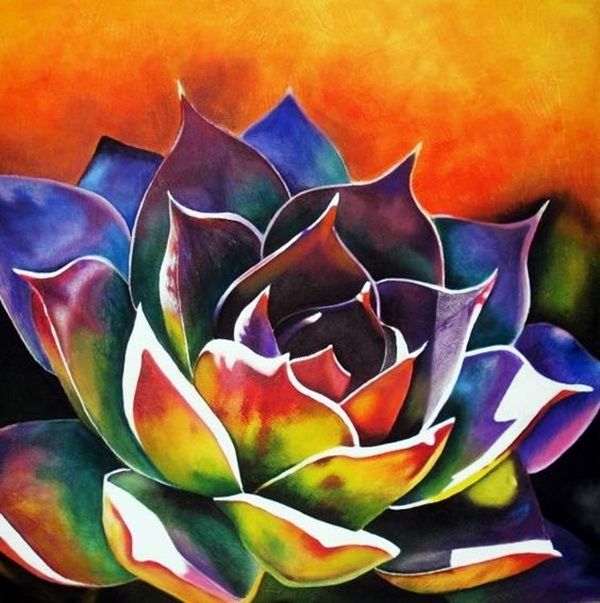 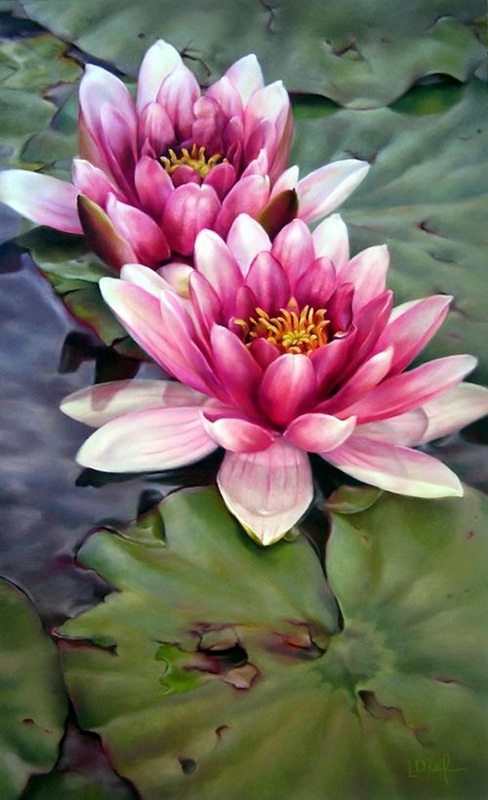 It is no wonder that this lovely flower that seems to bloom in the dirtiest and murkiest of waters has inspired many an artist to take up their easel, canvas, brushes and paints to capture the likeness as close as possible. 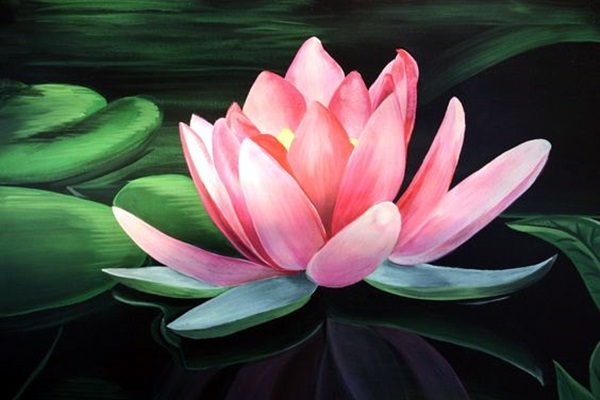 While there are creative ways to decorate your house with flowers, that is not what we are talking about in this article but how an artist paints a flower like lotus not only in the way it looks but also in the way it makes the artist feel. 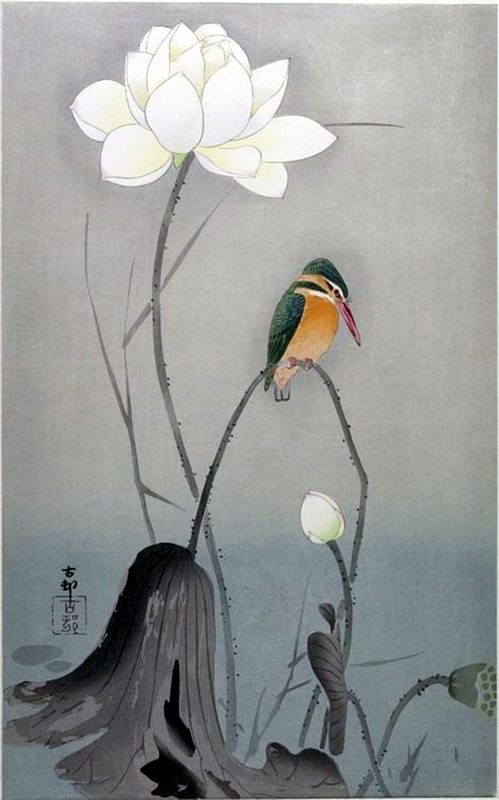 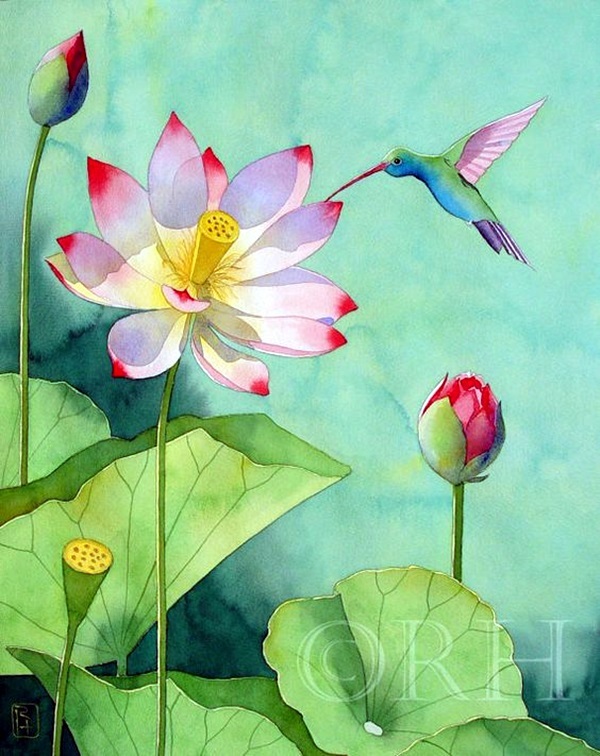 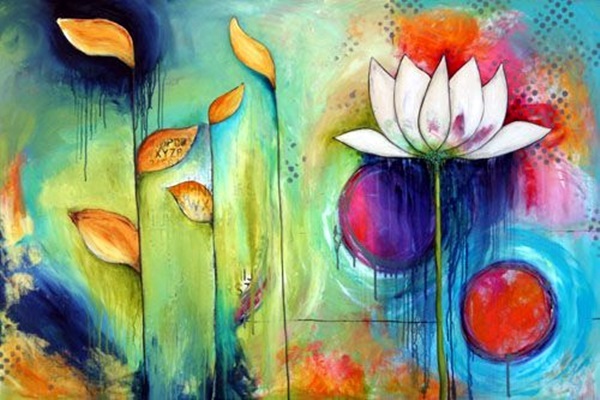 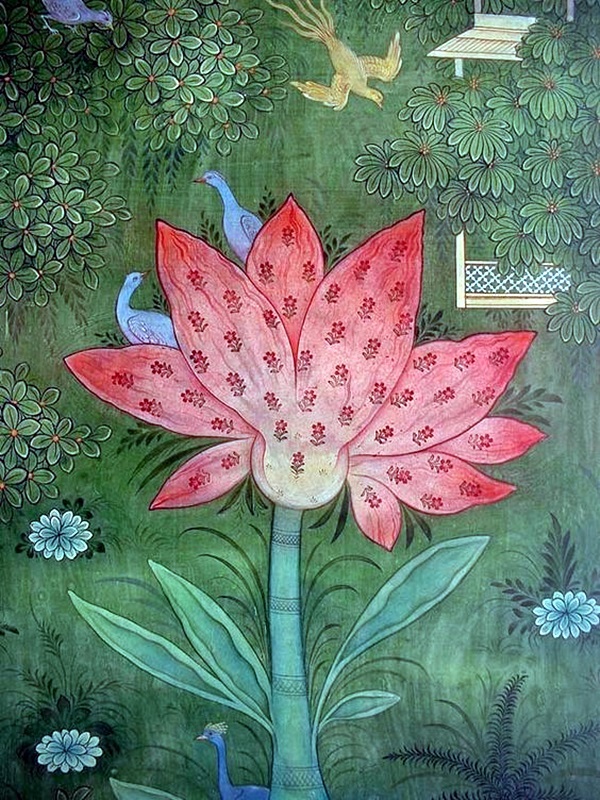 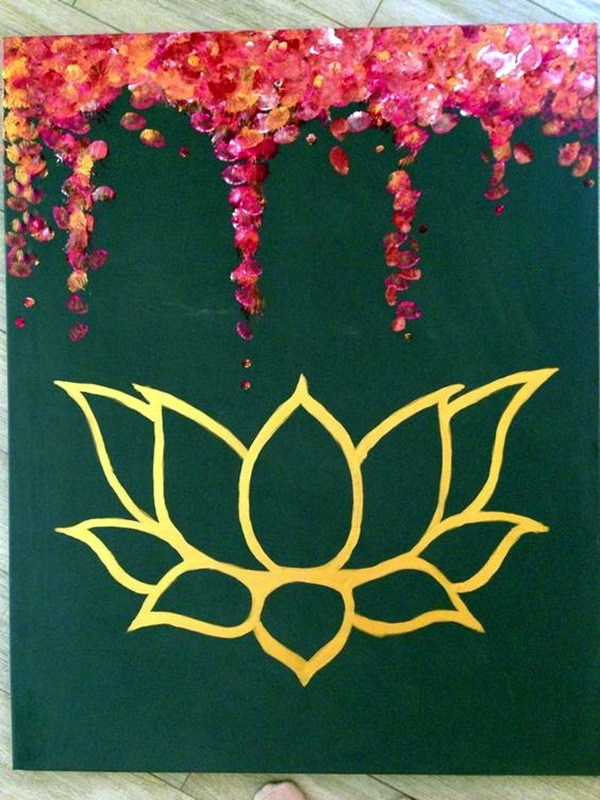 That is why if you are looking for peaceful lotus flower painting ideas, then this article could probably help. 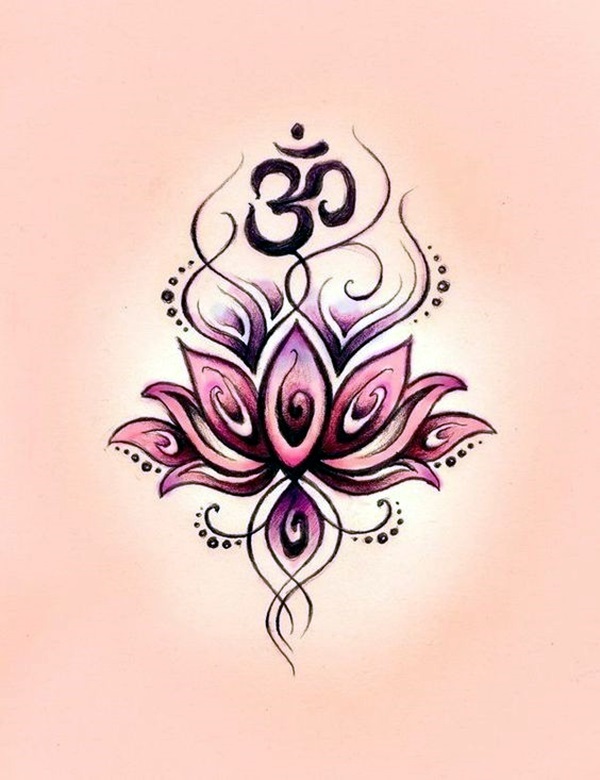 There are many reasons why the lotus seems to be a popular choice when it comes to lovely flower tattoo ideas for girls but we feel it is because of the symbolic peace and purity that this flower seems to emit. 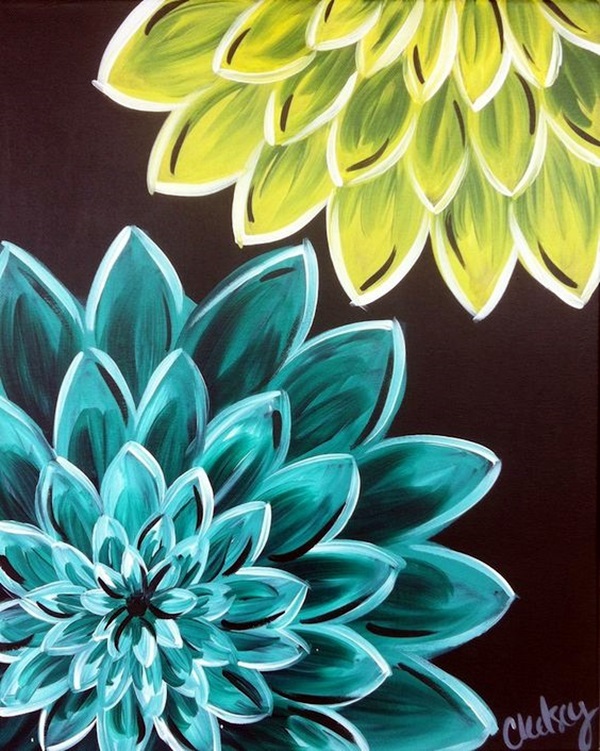 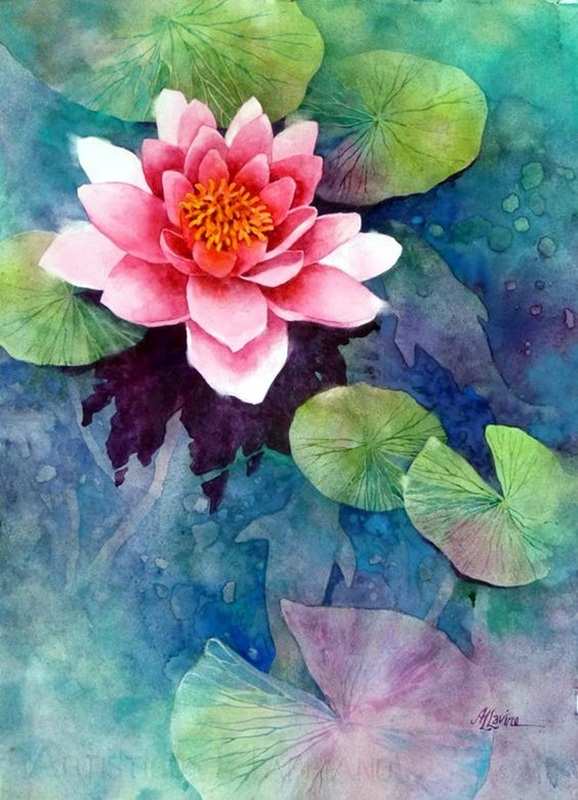 Once you see lovely pictures of flowers you will realize that there is no end to the ways in which you can paint them. 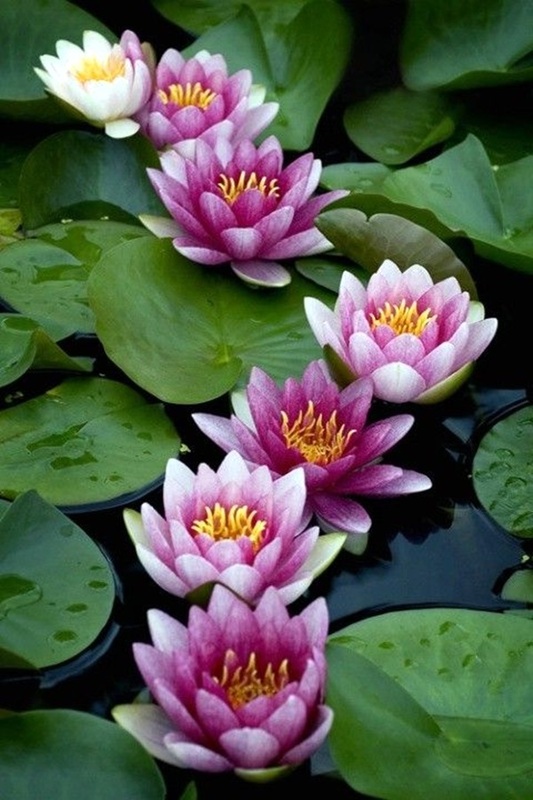 And that one can never have enough amazing pictures of beautiful flowers if one is so inclined. 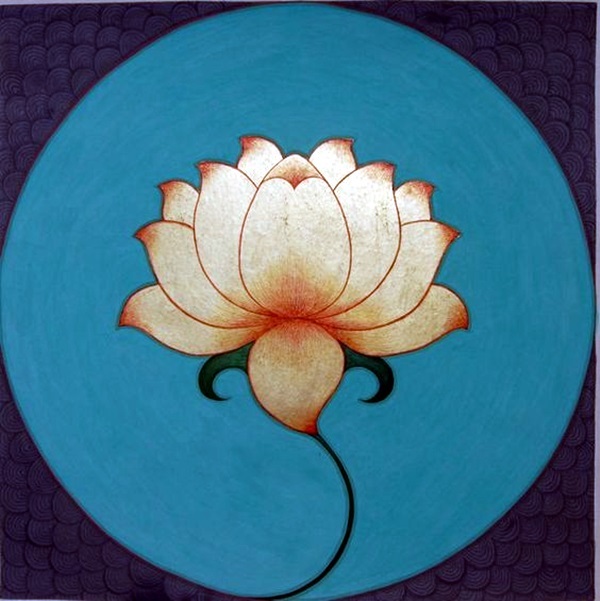 Go for it naturally: The first thing we suggest is that you go out there and look at the lotus flower in all its glory in its natural habitat. 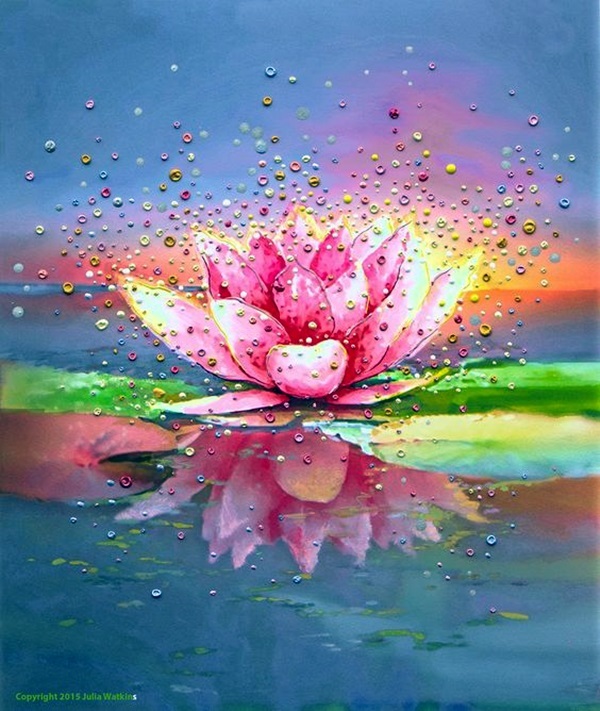 You will realize that it does shine out even more with the squelchy mud and dirty water that often surrounds it. 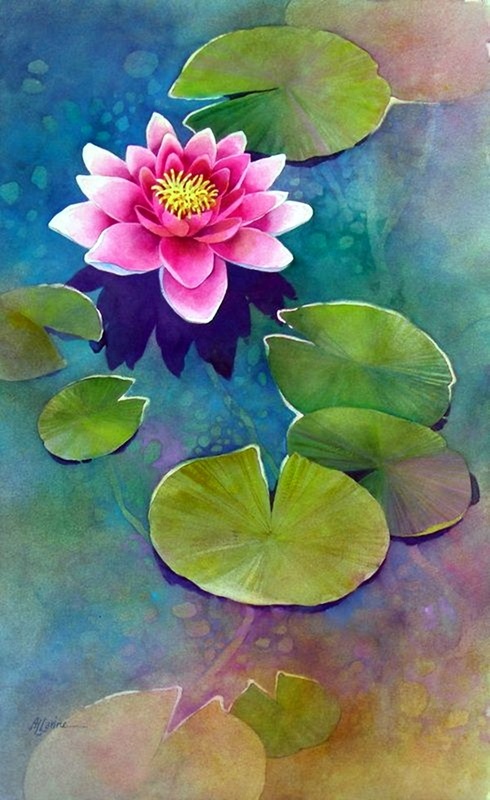 There is a certain purity and peace that it creates by sitting smugly in the water that it is surrounded by. 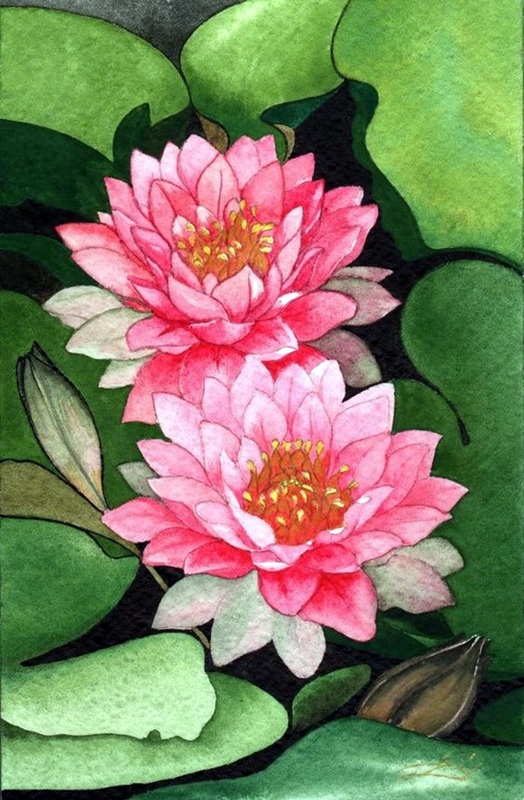 You will find that the waxy leaves and the lotus is an image that you can capture on the canvas along with the reflection of all these on the water. 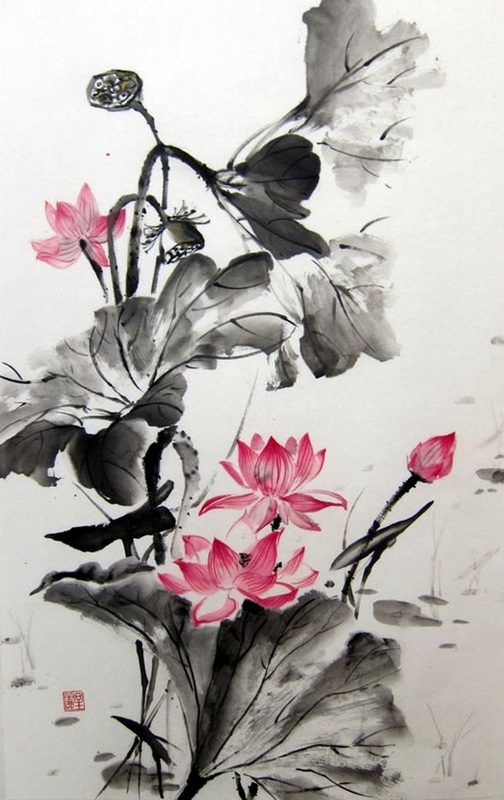 Then do it in a different color: The light pinkish red hue that a lotus has is not something that can be described in words leave alone capture on the canvas by mixing the right mix of colors. 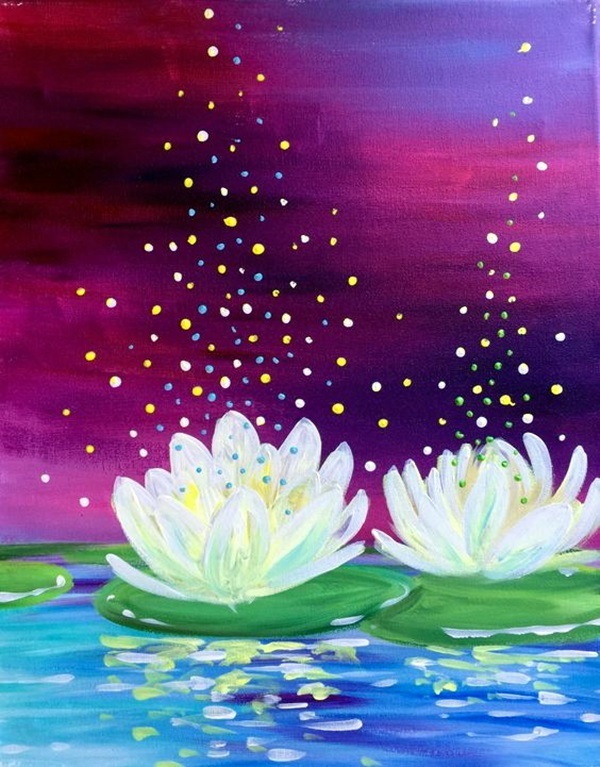 And once you master this mix, it is time to start imagining this lovely peacefulness emitting flower in a different color like blue or violet or some other color that is unusual. 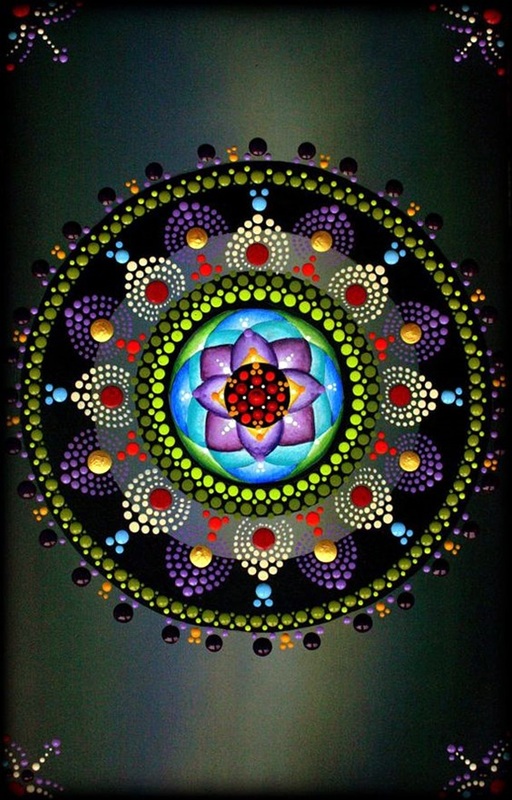 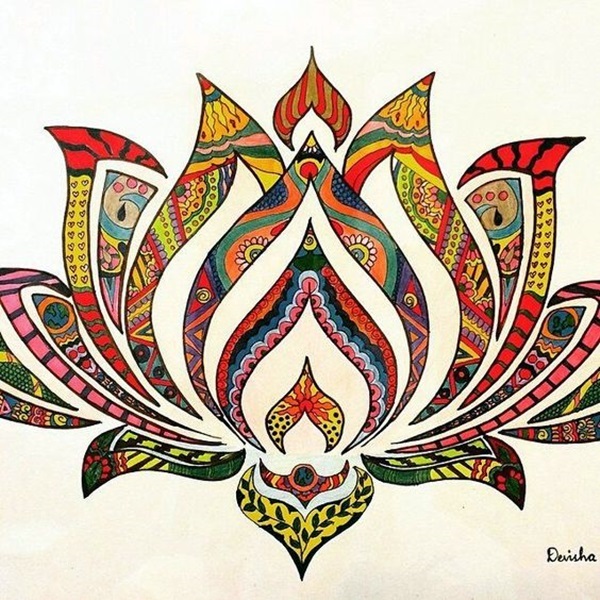 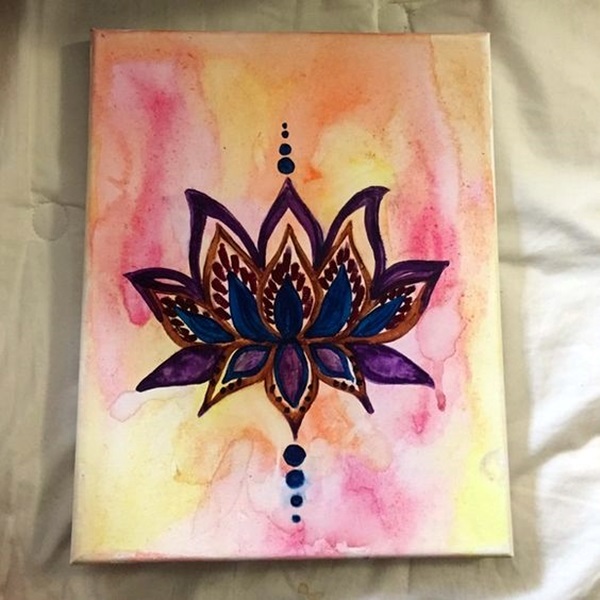 Do it Zentangle it: The use of Zentangle patterns has become prevalent in the art world and why should we not try to do this why painting the lotus in this manner? 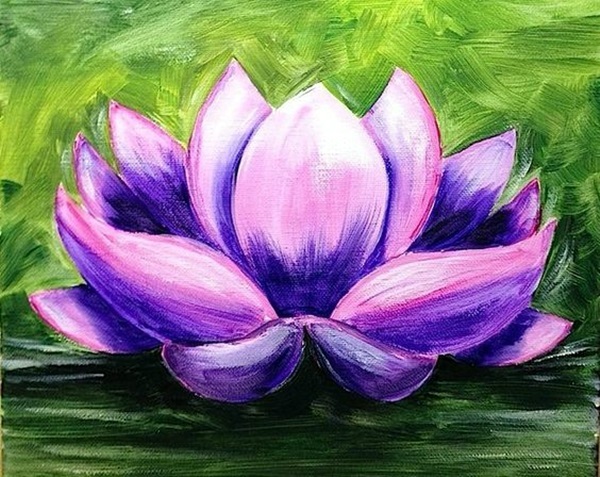 This will not look like the flower in its natural state but it will still capture the peaceful essence of the flower. 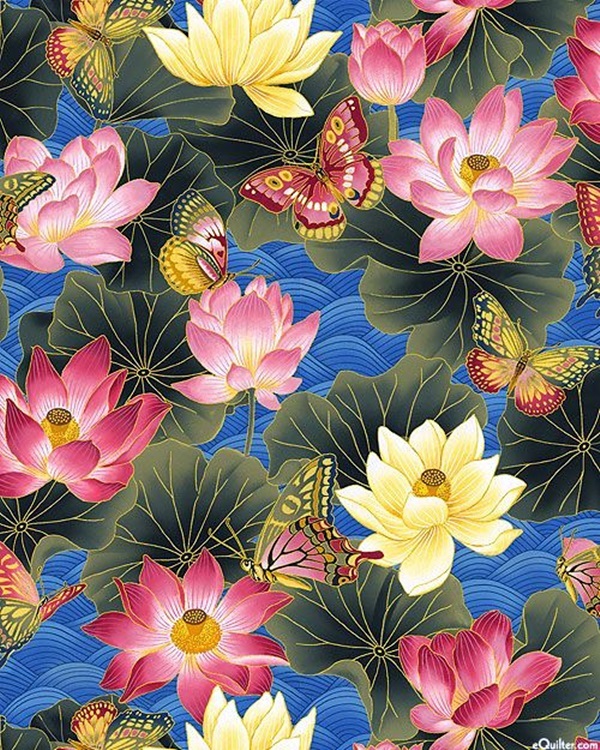 With tribal patterns and divine motifs: It should not come as a surprise to you that the lotus is used in the worship of deities and in places of worship. 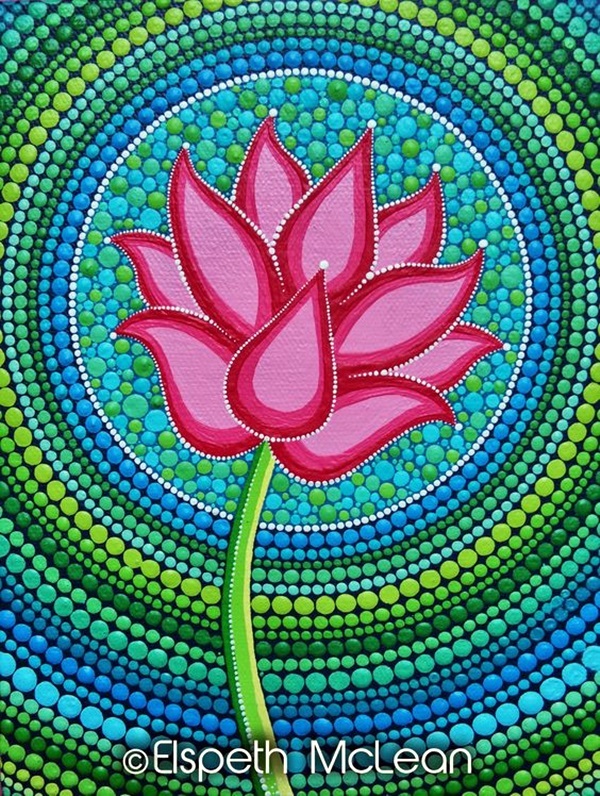 So why not take a leaf from these rituals and routines and paint the peaceful and lovely looking lotus with a tribal motif? 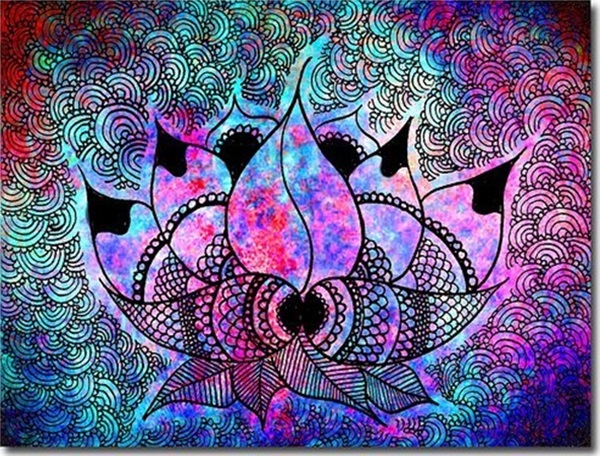 Or you can go one up and paint it with diving symbols from different religions. 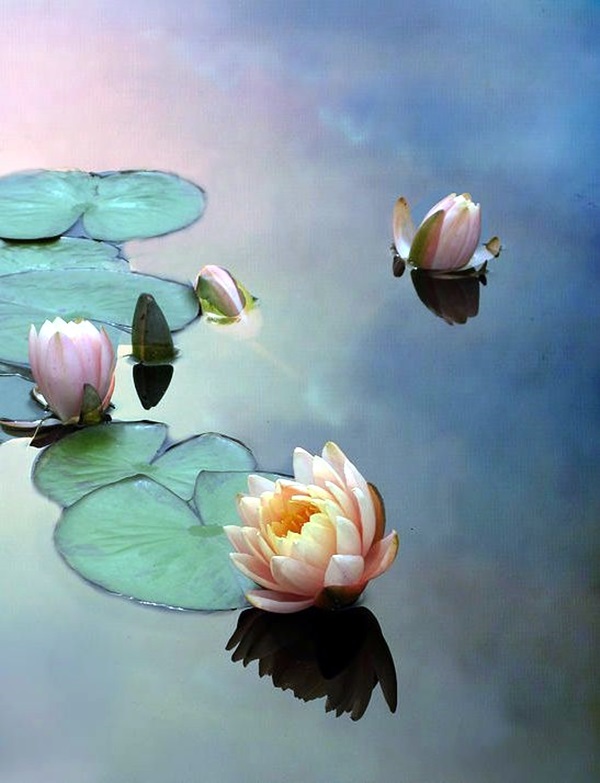 Believe us when we tell you that this picture that you come up with will look like the epitome of peace and purity. 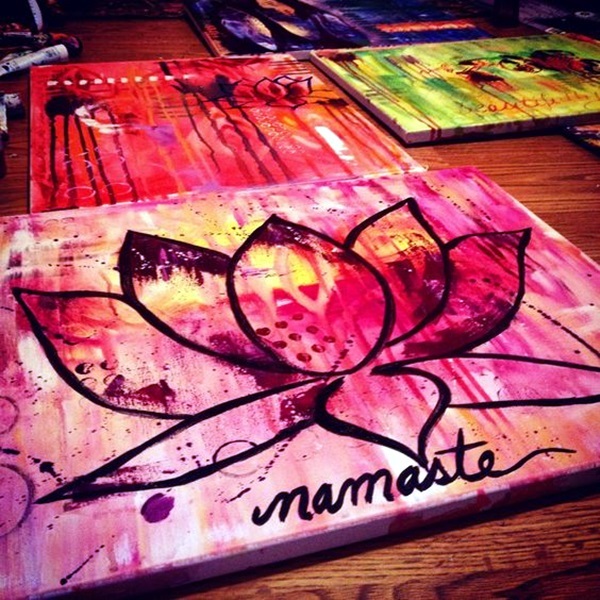 Apart from these color and design themes, you can paint them in different ways like the lotus with the moon or the lotus in neon colors. 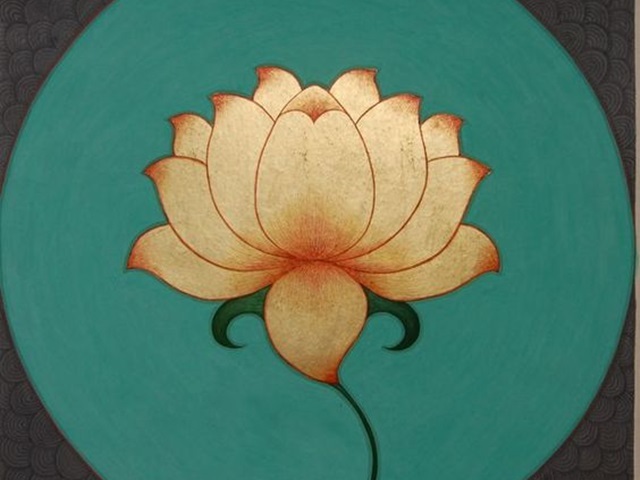 Or you can borrow a page from the Hindu way of living and show a man meditating peacefully with the lotus in front of them or getting into the yoga lotus position with the flower in front of them for inspiration.